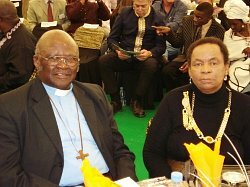 Late in 2006 and early in 2007 Archbishop Ndungane called together a number of people who have an interest in historic schools, education and various related fields. These strategic planning meetings included the Ministers of Arts and Culture, and Education and specialists within their departments, as well as alumni from some of the historic schools. This group became known as the ‘Reference Group’ and has acted as advisor to the HSRP since its inception. At the suggestion of the Reference Group, the Department of Education conducted an introductory survey of twelve, arbitrarily chosen, historically significant schools (former mission schools) across five provinces. These schools were a range of types including an FET (Further Education & Training) College, independent and public secondary schools. They were also differentiated in terms of facilities – sporting, boarding and academic-related. The schools profiled in the Education Department’s report became known initially as the ‘pilot schools’. Out of the initial Reference Group meetings arose a suggestion for a smaller ‘Concept Group’ which investigated, in greater detail, what was meant by ‘centres of cultural and educational excellence’. The Concept Group began to focus more specifically on what actions would be necessary to ensure that interventions made in schools would be appropriate, meaningful and sustainable. The group produced an initial working document known as the ‘Concept Document’. This group gradually transformed into the later ‘Content Group’ – whose task was to discuss and make recommendations regarding the educational standards and content offered at the schools. This group proposed a professional, comprehensive audit of six chosen pilot schools as it was felt that twelve schools would be an unwieldy number with which to begin the project. It is planned that the work done by the HSRP with the six pilot schools will serve as an appropriate model for the more than 50 other historically significant schools across South Africa. The Content Group has now transformed into the Education Committee which is a sub-committee of the HSRP Board. Members include educational specialists, representatives from appropriate government departments and some HSRP Board members. It continues to play an advisory role and to discuss extensively issues of curriculum and learner development, educational resources, staff training and enhancement, administrative improvement and alternatives to current educational models. Since the start of the project, the definition of an historic school has broadened to include any secondary school of historical significance in South Africa. This includes not schools which played an active role in the struggle against apartheid. 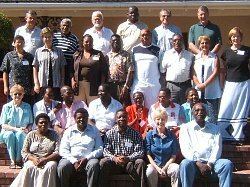 In May 2007, the first meeting of the newly appointed HSRP Board took place in Johannesburg. In September 2007 the HSRP office, which had until then been housed by the Anglican Church, was set up in Cape Town, funded by the Department of Arts and Culture. 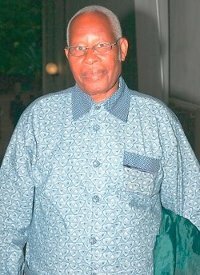 Archbishop Ndungane in the Executive Director and, at present, the staff numbers six. Additional staff members, and specialist consultants, continue to be appointed as and when the necessity arises. The HSRP has been granted full PBO (Public Benefit Organisation) status, which means that donations to it are tax-deductable. In November 2007 the HSRP was officially launched at Adams College in KwaZulu-Natal – the first secondary school in South Africa to have a Black headmaster. Shortly thereafter the HSRP was endorsed by the South African National Cabinet. In early 2008 the suggested financial and resources audit process was undertaken pro bono by KPMG, and an educational standards audit by the Independent Quality Assurance Agency (IQAA). Reports were produced which, along with priority needs identified by the schools themselves, served as a starting point for the restoration process. In May 2008, an event was held at Healdtown Comprehensive School in the Eastern Cape, to celebrate progress of the project and to promote community involvement in it. The communities surrounding the schools are seen as very important stakeholders in the restoration process and it is planned that resources put in place at the schools (such as libraries) will benefit the communities too. The Healdtown event was addressed by the then President of South Africa, Thabo Mbeki, who re-iterated government support for the project. During 2008 discussions and planning began on a comprehensive fundraising strategy. Funds are being sought from government, the private sector and civil society, including founder churches, schools’ alumni and foundations – both locally and internationally. 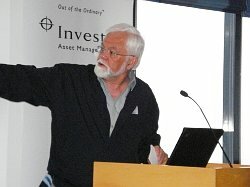 During 2008 two briefing breakfasts were held for business leaders in Cape Town and Johannesburg. In February 2009 an Inaugural Alumni Dinner was held for alumni of all South African historic schools to brief them on the HSRP, to encourage their involvement with the project and with their own schools and to raise funds for the schools and the project itself. Since the start of the project Archbishop Ndungane has visited a number of historic schools in several provinces to alert them and their surrounding communities to the existence of the the project, to communicate the HSRP’s goals and to support the schools’ own efforts to improve. He has met with national and provincial government leaders, educational and other specialists, the South African Heritage Resources Agency (SAHRA), union leaders and other potential partner organizations. Response to the HSRP has thus far – without exception – been positive and supportive. The HSRP sees the ongoing sustainability of the schools as vital, and is currently in the process of setting up an independent trust fund to collect and disburse funds for endowments, bursaries and subsidies for learners at the historic schools. The Z K Matthews Educational Trust will be managed by Investec. A Stakeholders’s Conference was held in April 2009 in Johannesburg, which included principals, senior educators and school governing body representatives of the six pilot schools. The purpose of the conference was to equip the schools and give them a framework to consider in planning their own, wider, stakeholder conferences later in 2009. Discussions were also held with school mentors from the IQAA on achievements made since the 2008 audits and on goals still to be achieved. It is important to note that the restoration of the schools has a two-part approach. One is to restore the physical infrastructure of the schools, that is, to restore the buildings – many of which have official heritage status and are in a bad state of repair. This part of the restoration process will address needs such as adequate water and sewerage infrastructure, restoration or provision of boarding facilities, staff housing and the necessary classrooms, laboratories and libraries etc. Architectural consultants have been appointed and have visited the pilot schools to assess the extent of the restoration needed. They have in turn consulted with the appropriate specialists and produced a professional analysis as well as a proposed timeline for work on one of the schools. The second part of the project – and the most important – is to restore the quality of the educational and cultural content offered in the schools. A Business Day editorial in January 2009 made the undisputable point that teaching and teacher quality play a crucial role in determining educational quality and that the quality of teachers matters more to learners’ performance than anything else. An article by US author Malcolm Gladwell was quoted as saying: “Teacher effects dwarf school effects: your child is better off in a ‘bad’ school with an excellent teacher in an excellent school with a bad teacher”. This echoes the beliefs of the HSRP and, accordingly, much thought and effort will be put into means and methods of upgrading teachers in these schools. In addition, the rich African cultural heritage of the schools, which was ignored and marginalized during the years of apartheid, will be revived. Both these approaches are seen as absolutely necessary to the HSRP’s goal of ensuring lasting excellence in the schools. The HSRP is focused on making a demonstrable difference to how successfully children learn, so that present and future learners can make a real contribution to South Africa. No HSRP progress news to display at present. Click here to view all the News.